Continuum Pediatric Therapy we are committed to providing quality, evidence based services that meet the needs of a client’s unique profile. Our therapists endeavor to gain all information relevant to a child’s constellation of needs through assessment and collaboration in order to provide the most effective and individualized treatment. 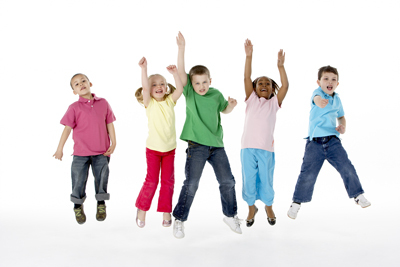 Diagnostics and treatment are performed through a holistic approach to better suit each child. Our goal is to increase children’s access to all aspects of the community as well as ensure that he or she able to demonstrate their cognitive potential across settings. Continuum Pediatric Therapy works closely with Continuum Pediatric Nursing and Continuum Behavioral Health to provide comprehensive and collaborative access to a full spectrum of home and community based pediatric services. Continuum Pediatric Nursing was founded over twenty years ago on the belief that many institutionalized children could benefit greatly from highly skilled in-home nursing, they have been at the forefront of a nationwide movement that recognizes that for many young patients, the nurturing support of family and familiar surroundings is critical to their long-term emotional and physical well being. Continuum Behavioral Health is committed to addressing the needs of those who present with signs or symptoms associated with Autism Spectrum Disorder, Genetic Disorders and related developmental disabilities, and provide a seamless continuum of care starting with diagnosis and extending through assessment and treatment. Speech therapy is the evaluation/assessment and treatment of children with difficulties producing speech and individual sounds. These difficulties can range from mild to severe affecting the child’s overall intelligibility. Speech therapy is most often provided in conjunction with language therapy. Feeding or swallowing therapy is the assessment and treatment of children with difficulty chewing, swallowing foods, transferring from a G-tube to oral feeding, etc. It can also be provided for children described as “picky eaters.” These children often eat only 4-5 foods and may gag on certain textured due to sensory limitations. Therapy often focuses on reducing sensitivity and expanding a child’s diet. Language therapy is the evaluation and treatment of communicating one’s wants, needs, emotions and ideas. It also encompasses spoken and written language from infancy to adulthood in addition to language in social and academic settings.